Bringing the community engagement project on “Computer Literacy and Social Media Skills for Housewives” to fruition the General Education Department of Al Falah University gave a final session and bade the lovely ladies a cheerful good bye. 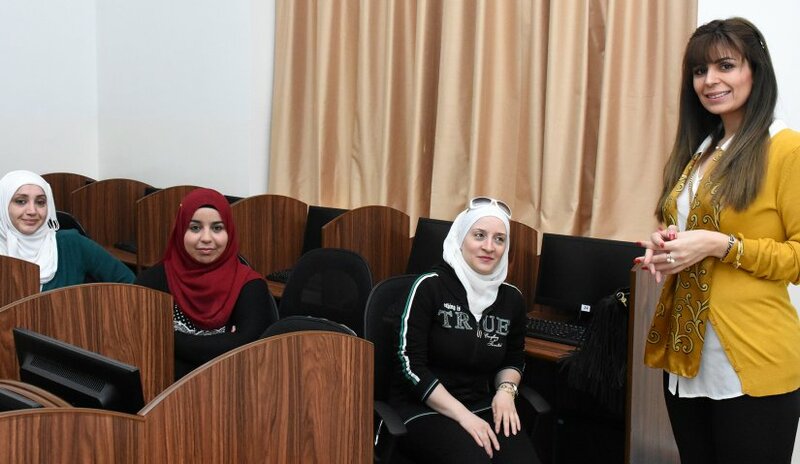 The two-month short course was a joint effort of Mr. Ali AlAlaimi and Ms. Ghaida Al Rawashdeh where they educated the participants with the use of computer in everyday life. The concluding session on 16 December 2015 was conducted by Ms. Ghaida where she showed the participants the various ways of using social media to start and market their entrepreneurial skills. The ladies remarked that these sessions made a great improvement in their lifestyle and they would use this knowledge in times to come.